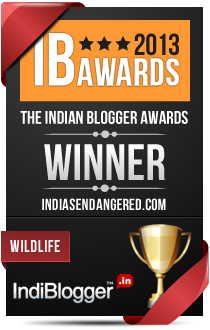 The grown up fight for the big cat in India will not be over anytime soon it seems. In April 2013 the Supreme Court of India ordered the translocation of Asiatic Lions from Sasan Gir in Gujarat to Kuno wildlife sanctuary in Madhya Pradesh in order to create another home for the endangered animals. But last week the judges agreed to review the judgment after hearing arguments of a local NGO that quoted a number of technicalities against the move. And while the court again mulls over its decision, an action plan made after taking into consideration many pros and cons has been sent to the Environment Ministry to move small prides of lions from one state to the other this year. As the two states continue to play tug-o-war with the Asiatic Lions, here is the latest on the present and probable future of the species. The Indian lions, have long known the state of Gujarat to be their home, after the entire population of Asiatic lions was wiped out of its range that once spanned from Asian minor to Arabia and Persia to India. Hunting during the British reign turned many living beasts to trophy heads adorning colonial walls, and by the end of the 19th century, India shockingly had merely 20-odd lions. The last animal surviving in the wild outside Saurashtra was reported in 1884. The Nawab of the then Junagadh State of Gujarat came as a savior of the Lions by banning hunting in his region and giving the status of protection tothe Asiatic lions for the first time. Since then, Gujarat has done incredible work with its conservation efforts, lifting the status of lions from Critically Endangered (CR) to Endangered (EN) in the Red list of threatened species of International Union for conservation of Nature (IUCN). The population of Asiatic Lions is almost 458 thanks to this persistent efforts. It is exactly this point that has been raised by Rajkot, Gujarat based Wildlife Conservation Trust (WCT), that says that certain facts were not brought to notice of the court when it ordered the translocation. “The court relied on the 2000 International Union for Conservation of Nature (IUCN) report that had put Asiatic Lions on the red list describing it as critically endangered species but has now moved — in its latest report — out from the critically endangered list to the endangered list. The IUCN report on the Asiatic Lions further stated that the population of the Asiatic Lion has not only stabilized but also extends beyond the Gir Forest across four regions of Gujarat,” stated the petition. Interestingly, it is the spreading of the lion population outside the boundaries of Gir that is of concern to many experts, who believe that the human-animal conflict will rise as the lions look for new territories in human inhabited areas. As per the latest survey of the Gujarat Forest Department there are 114 lions living outside of Gir at the moment, with one third of the Suarasthra region under the lion’s domain. So the move to Kuno will actually help provide enough space to the Lions, not to forget another protected region where forest rangers can safeguard the lions from poachers and help reduce conflict with humans. The petitioner additionally said that the state’s chief wildlife warden was not consulted on the translocation issue – a mandatory provision under the Wildlife Protection Act, 1935. Meanwhile, an action plan submitted by wildlife scientist Ravi Chellam and Y V Jhala from the Wildlife Institute of India to the Environment Ministry has suggested moving a small pride of lions to Kuno to begin the move. This pride will include 60-70 percent female lions and a minimum of two male lions. The action plan, formulated keeping in mind a 25-year-long translocation programme, suggests that every three to five years, two-three lions — mostly male — should be translocated from Gir to Kuno to maintain the inter-linkage between lion populations in the two sanctuaries. The experts are using their experience in translocation of tigers to make a structured plan for the lions too. A major problem they faced while moving tigers from the Pench to Panna tiger reserve was the ‘homing’ instinct of the wild cats where they repeatedly tried to find a way to go back to their previous habitat. In the case of the lions therefore, to curb the same ‘homing instincts’ a one-acre fenced enclosure in Kuno sanctuary would be the first home of the translocated animals for three-six weeks so they get familiar with the geography of the new forest. The move would most probably be done between December and February using Indian Air Force choppers and moving 2-3 animals at one time after they are tranquilised. To track the lions in their new home sophisticated radio collars are also being procured. While the prey base of the Kuno sanctuary, is said to be sufficent, the area is still known to have issued related to poaching and a gun culture that might need to be tackled more fervently now that there are not one but to Endangered wild cats – The Tiger and Lion that would soon share the same territory. First attempt in 1957 to translocate lions from Gujarat to Chandraprabha Sanctuary in Uttar Pradesh had failed due to lack of understanding on adequacy of prey base, crucial habitat requirements and the insufficiency of protection, habitat management and monitoring. Thereafter in 1990s, the Wildlife Institute of India (WII) took up the matter of finding an alternative home for the species and identified Kuno as the most suitable site. Because the plan has been in papers for so many years, it is high time that the executions begin. Palpur Kuno sanctuary, under Sehopur district of Gwalior division is presently home to a single tiger T-38 that came from the neighbouring Ranthambore national Park of Rajasthan and settled down in the sanctuary. The experts are a little uncomfortable with this tiger and the problems that might arise if the tiger and the lions end up in a conflict. 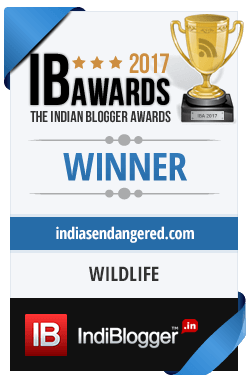 “Currently, Kuno wildlife sanctuary is occupied by a single resident tiger (T-38) from adjacent Ranthambore Tiger Reserve, Rajasthan. Both lions and tigers being top predators will sometime get involved in inter-specific strife resulting in injuries and even deaths,” the action plan said. “The best strategy would be to radio collar (GPS/ satellite) the tiger (and any other additional immigrant/ resident tiger in future) as well, so as to study the interaction between these two top carnivores as part of the research program of Kuno reintroduction,” it said. To assure the Environment Ministry, and the expert panel the state of Madhya Pradesh has agreed to the radio collaring of the lone tiger. The real intention of conservationists to translocate few Asiatic Lions from Gujarat to Madhya Pradesh is to ensure that there is a second home for the big cats. It helps creating more space, protects them from a probable mass epidemic that if at all spreads in Gir Lions will at least not wipe out the entire species. It also ensures that eventually with some lions separated, the Asiatic Lion subspecies will have more genetic diversity and a stronger next generation. At this point of time, it is not Gujarat’s reluctance but its expertise that is most needed to ensure that the Lions are safe and protected well, even if it is outside the state’s boundaries. It is the nation’s pride that needs protection and not a state’s pride alone.